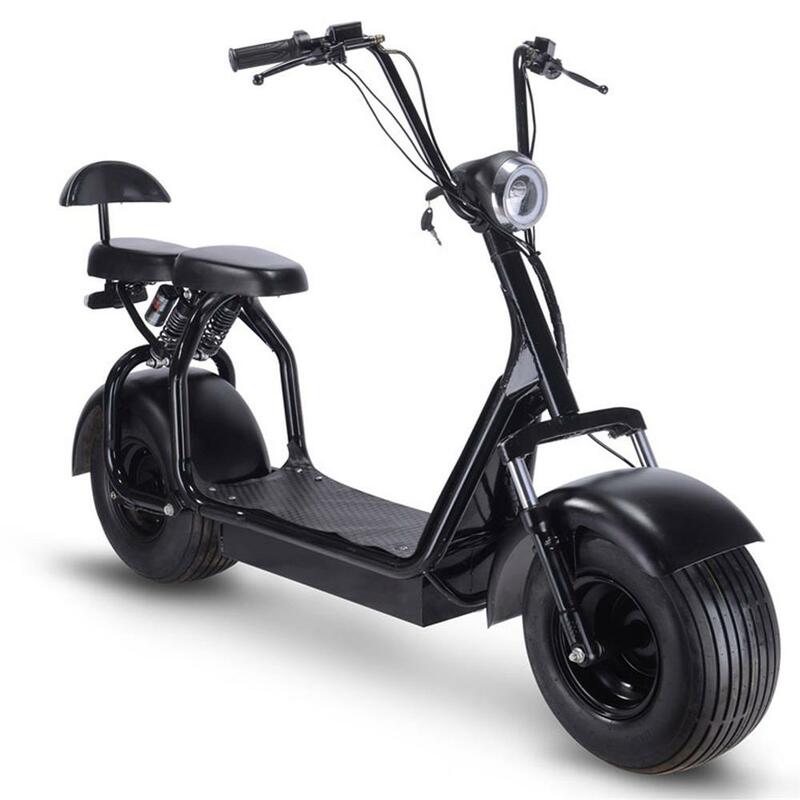 Introducing the new MotoTec KnockOut 1000w Electric Scooter. This powerful hub motor, powered by Four 12v Lead Acid Batteries can reach speeds of 20mph and travel up to 20 miles per charge. Eequipped with a Front & Rear LED light, Front & Rear Shocks, Front & Rear Hydraulic Brakes, Hugh Tires and Double Seat with backrest. This scooter is ready to tackle any terrain.